Silver sheen obsidian egg ~ typical size roughly 2.5” X 1.75” inches. bubbles remaining from the lava flow, aligned along layers created as the molten rock was flowing before being cooled have interesting effects such as this silver sheen which is visible as the egg is turned. In silver sheen when the material is held in light it has a flash of silver seeming to glow from within. 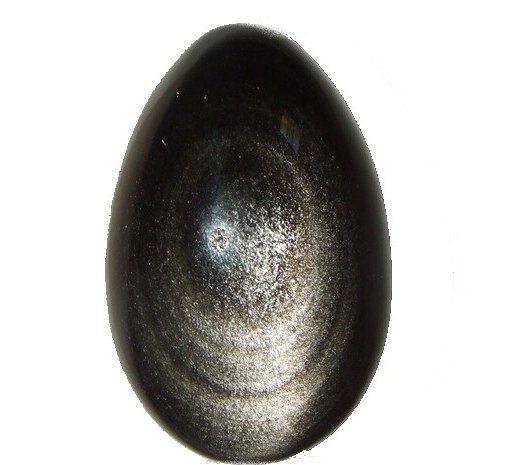 Metaphysical Properties: Silver Sheen Obsidian is said to be a protective stone which wards off negativity.